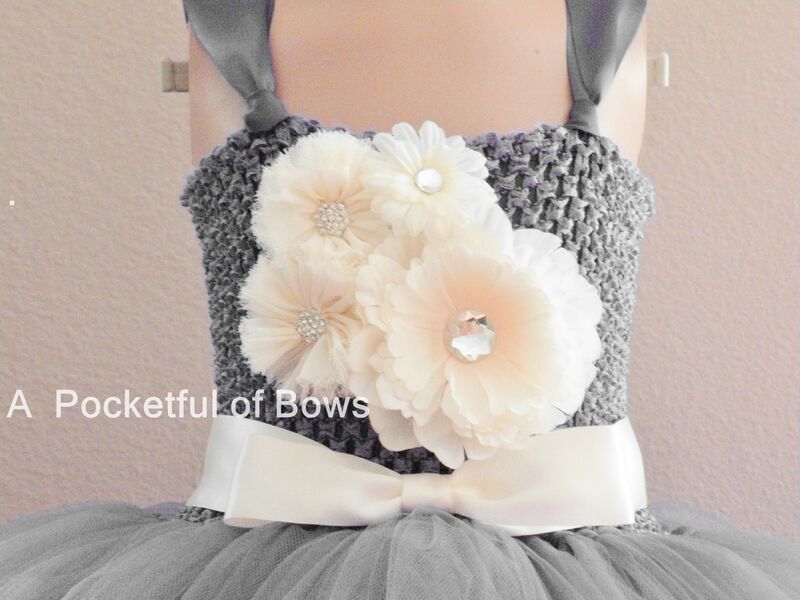 Silver flower girl dress with ivory flowers. This flower girl dress has a silver lined top with ivory flower with gem center. 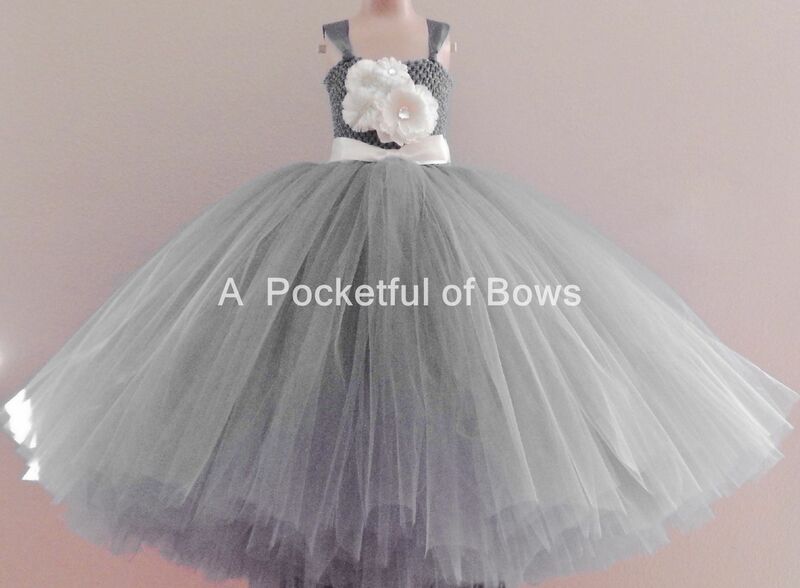 The full skirt has an ivory sash. The sash tie in a bow on the back. Overall length: measure from the armpit down to the ankle or desired length.